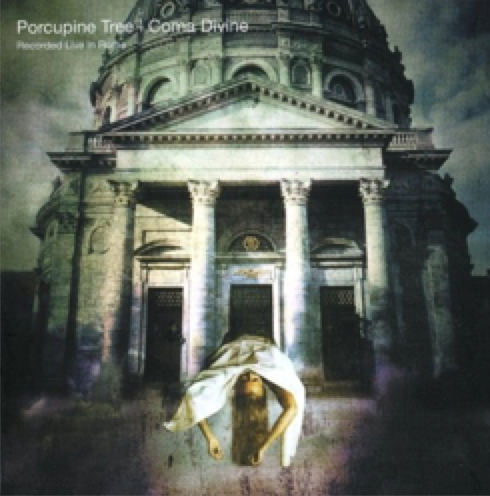 Porcupine Tree are another band that surprise me by hiding their albums of consistently good music in my collection. A prog band with more facets than a box of jigsaw pieces. Blank Planet is their ninth studio album with guests Robert Fripp (King Crimson) and Alex Lifeson (Rush). In the last days of my degree, I was a mature student so this was quite recently, my television production lecturer and I bonded over our similar music tastes. I guess it was refreshing for him to have a student that understood prog and one who appreciated him getting Bill Bruford in to give us a lecture about media and drumming. So after an obscure prog band swap, he told me about Porcupine Tree. He told me I “should” like them. Now, long term readers of this project will recall how me “should liking” a band usually ends with “no I don’t”, but this is one of those rare occasions were they’re actually growing on me. I have now listened to this album for a grand total of 5 times and yes, it is growing on me. In true prog tradition, Fear of a Blank Planet is a concept album based on the book Lunar Park by Bret Easton Ellis but with the twist being sung from the viewpoint of the child of the books protagonist. It’s suitably dark in tone with an apocryphal tale to tell about the growing reliance on technology amongst the youth. As you know, if you have been following this blog closely, I have a lot of music. We are only just at entry number 350 and thats after I’ve deleted some albums from my collection that I simply could not be bothered to listen to. Indeed, there are many albums still to come and there are many that I will hold up my hands to and say “I’ve never listened to this album in my life!”. However, because I believe in quality research when it comes to writing, I do actually listen to those albums before I write an entry. time we met Porcupine Tree on Stegzy’s Music Project and I talked about how I was introduced to the band’s music by my television productions lecturer and how now I’m middle aged and don’t have time to listen to music like I did in the past. I also talked about how I listened to Coma Divine for the first time and caught myself doing air guitar. Guess what? Well, recently I obtained Elite:Dangerous and I have been flying around the galaxy with music on in the background, just like I used to do when I was unemployed in the nineties. This enables me to listen to albums in their entirety, just like in the olden days rather than by listening to music on a Saturday morning and hastily cobbling together a few hundred words about the music I’ve just listened to. Anyway, such circumstances enabled me to listen to Deadwing in its entirety for the first time the other day. Indeed, the experience once again caught me doing air guitar and tapping my foot along to the music. Not bad for only the third Porcupine Tree album I’ve ever listened to. Deadwing is a concept album about a ghost story. Nobody is entirely certain what the ghost story actually is simply because the band won’t say. In true Prog fashion, lead singer Steven Wilson knocked together a screenplay with his pal and then set about writing the accompanying soundtrack. Of course this was many years ago and the screenplay is still to actually become a corporal entity. But not to worry because you can listen to the excellent music well in advance and make your own screenplay up in your head. With better special effects and a cast of whoever you fancy.